Preaching Source is a text-driven resource of Southwestern Baptist Theological Seminary dedicated to equip preachers in the art and craft of text-driven preaching. Led by Dr. David Allen, the School of Preaching’s eight-member faculty each brings a unique dynamic to the table, including scholarly expertise in biblical exposition, linguistics, rhetoric, history, and evangelistic preaching. David L. Allen serves as the Dean of the School of Preaching, Distinguished Professor of Preaching, Director of the Center for Expository Preaching, and holds the George W. Truett Chair of Pastoral Ministry. Dr. Allen earned his PhD in Humanities with a concentration in Linguistics from The University of Texas at Arlington (1987) and his M.Div. from Southwestern Baptist Theological Seminary (1981). He is the author of Hebrews in the New American Commentary Series (Broadman & Holman, 2010); Lukan Authorship of Hebrews (B&H, 2010); 1-3 John: Fellowship in God’s Family in the “Preaching the Word” Series (Crossway, 2013); Preaching Tools: an Annotated Survey of Commentaries and Preaching Resources for Every Book of the Bible (2014); and The Extent of the Atonement: A History and Critique (2016). Dr. Allen is also the co-editor and contributor of Whosoever Will: A Biblical-Theological Critique of Five-Point Calvinism (Nashville: B&H, 2010), Text-Driven Preaching­ (Nashville: B&H, 2010), The Return of Christ: a Premillennial Perspective (B&H, 2011), and Preach the Word: Essays on Biblical Preaching in Honor of Jerry Vines. 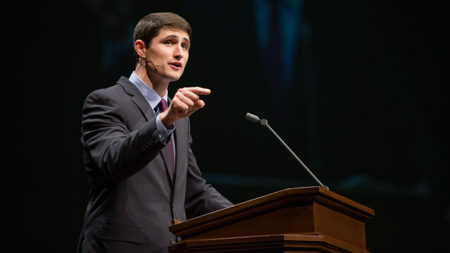 Kyle Walker serves as the Vice President of Student Services at Southwestern Seminary. He graduated from The University of Alabama in 2007; received an M. Div. from Southwestern Seminary in 2010; and a PhD from Southwestern in Preaching and Systematic Theology in 2015. Dr. Walker preaches frequently for local churches, revivals, and student camps. 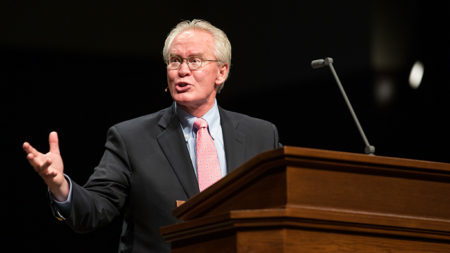 Since 2004, Denny Autrey has served as the Dean and Professor of Pastoral Ministries of the J. Dalton Havard School for Theological Studies, Southwestern Baptist Theological Seminary’s Houston campus. 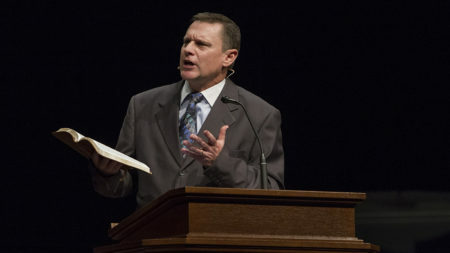 Prior to his election to this post, Autrey served as senior pastor to various Southern Baptist churches in Texas and Oklahoma (West End Baptist, Galveston, TX; Alta Vista Baptist, Pasadena, TX; FBC, Guymon, OK; and FBC Lindale, TX). His undergraduate degree is a BBA from Stephen F. Austin State University in Management and Marketing, and his graduate work began at Southwestern’s Houston extension where he earned his MDivBL (1984) and his DMin from Southwestern (1987). Autrey completed his PhD dissertation in Homiletics and Evangelism from Southwestern (2013). Dr. Biles pastored Texas churches for 15 years and also taught adjunctly for Southwestern Seminary from 1997 to 2001. 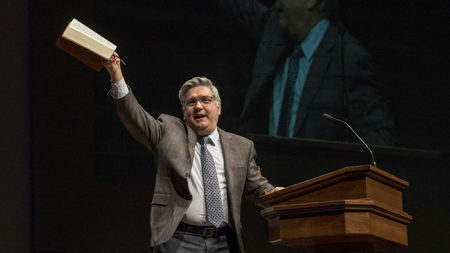 He has preached and led conferences at numerous churches, associations, colleges, and seminaries, as well as having preached at the annual meeting of the Southern Baptists of Texas Convention in 2001. He has also served as Interim or Transitional Pastor in seven Churches. 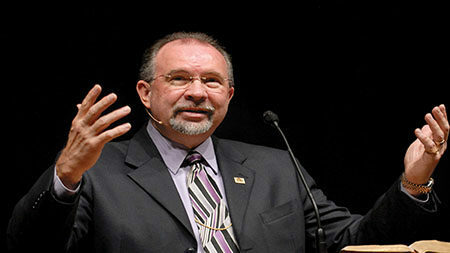 Dr. Biles served as the Minister/Church Relations Director for the Southern Baptists of Texas Convention before coming to Southwestern Baptist Theological Seminary as Dean of Extension Education and Associate Professor of Pastoral Theology in June 2006. In 2012, he also assumed the role of Associate Dean for the Doctor of Ministry Program. He graduated from Howard Payne University in Brownwood in 1989 with a BA in Bible and History; received an MDiv from Southwestern Seminary in 1992; and a Ph.D. from Southwestern in Old Testament in 1997. He is the author of two books: After God’s Heart: Becoming the Man God is Seeking and After God’s Heart: Becoming the Man God is Seeking. A Forty-Day Bible Study. Dr. McCarty serves as Professor of Preaching and Rhetoric at Southwestern Baptist Theological Seminary. He came to Southwestern after twenty-two years as a senior pastor, following eighteen years in higher education. He served as a Teaching Fellow in Public Speaking and Debate at the University of Pittsburgh, as Professor of Preaching and Rhetoric at Mid-Atlantic Christian University, and as President of Cincinnati Christian University. Dr. McCarty is the author of Well Said and Worth Saying: A Public Speaking Guide for Church Leaders and Parables and Miracles. His Parliamentary Guide for Church Leaders, now in a 25th Silver Anniversary Edition, has become the standard guidebook in the field of church business meetings. Since 1986 Dr. McCarty has served as the Chief Parliamentarian who advises and assists the presidents of the Southern Baptist Convention as they preside over the SBC annual meetings. Matthew McKellar serves as Professor of Preaching. He joined the faculty at Southwestern in 2009 after having served as a senior pastor for 28 years. Dr. McKellar has written articles for Theologicalmatters.com, the Southwestern Journal of Theology and the booklet “A Pastor’s Guide to Text-Driven Preaching”. A regular presenter at Southwestern’s preaching workshops, he has served as an interim pastor and speaks frequently in churches and at conferences around the country. Aaron S. Halstead serves as the Administrative Assistant for the Professional Doctoral Office at Southwestern Baptist Theological Seminary and as the Editorial and Content Manager for Preaching Source. He received an M.Div. from Southwestern Seminary in 2017, a Th.M. in Preaching in 2018, and is currently a Ph.D. student in Southwestern’s School of Preaching. He is also a small group leader and Bible study teacher at Hulen Street Church, where he is a member. Sam Hurley serves as Web Content Administrator for the Office of Communications at Southwestern. He is a current PhD student at Southwestern Baptist Theological Seminary.